Bubbles trapped in nail polish are the worst. Unlike smudges and other minor imperfections, there aren’t many fast and easy fixes for a buried bubble trapped in your nail polish finish. Even worse, sometimes it’s hard to tell if you have a bubble problem until your nails are dry. Bubbles can happen with new polish and with premium, expensive polish, too. They’re also bound to show up and spoil your nail finish for that big date. Here are some ways to avoid bubbles in your nail polish. 1. Don’t use old polish. The thicker the polish, the longer bubbles will take to surface. A new bottle of polish is thinner and the bubbles rise quicker. 2. Don’t shake your polish bottle. Try rolling it between the palms of your hands instead or slowly tip upside down and then straight again. Shaking the polish vigorously creates a ton of bubbles that you can’t see… until you’ve already applied your polish. If you have to shake the bottle to mix your color, wait at least 30 minutes so all the bubbles can surface before you use it. 3. 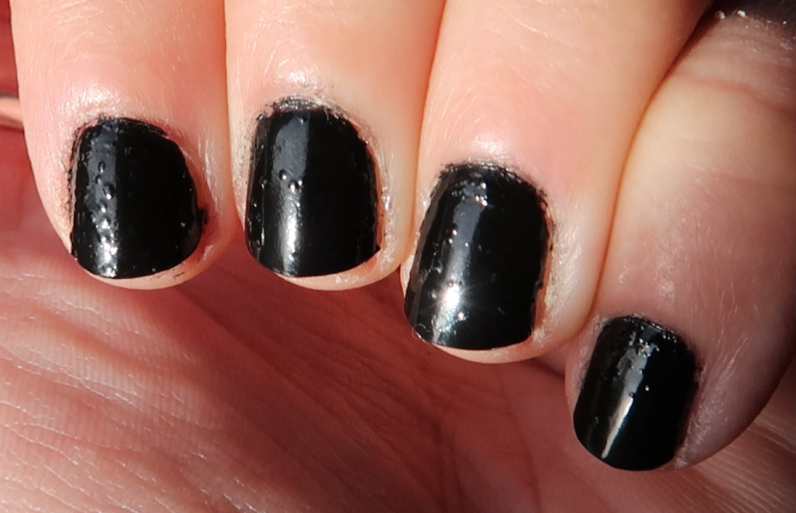 Use nail polish remover before you start—even if your nails are already bare. This little trick will help soak up any excess moisture and create a clean surface for your nail polish. 4. Use a base coat. Adding this creates a necessary foundation for your polish and is crucial to avoiding bubbles. 5. Apply thin coats. If the coat is too thick, the top portion will dry long before the bottom. This traps the solvents in the polish that need to evaporate in order for it to dry properly, leading to tiny bubbles.